Up until recently the only and preferred method for delivery of hyaluronic acid to the face and hands has been via a sharp tipped hypodermic needle. However, with recent advancements in the production of blunt tipped cannulas and more specifically micro-cannulas, clinical practitioners and patients are embracing the benefits of blunt micro-cannulas. 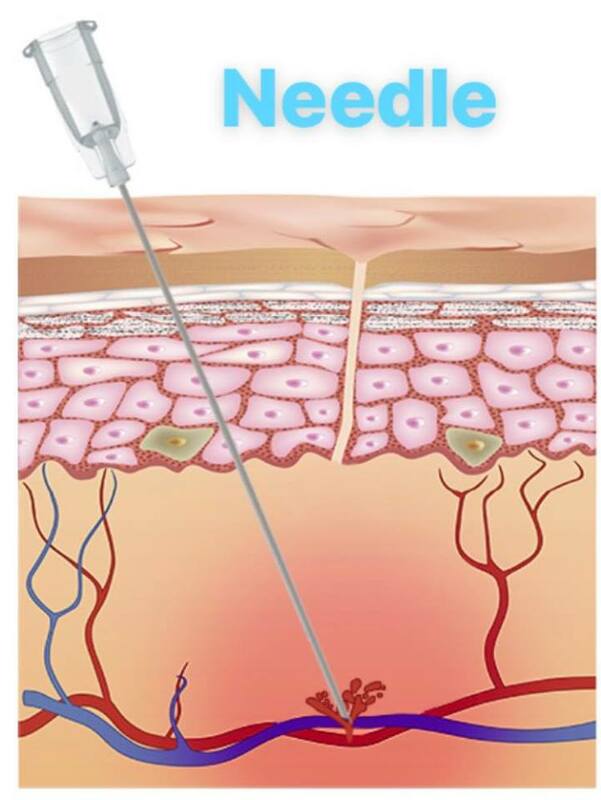 The decision to use a cannula over a needle for an aesthetic treatment is still very much down to personal choice, but the advantages presented by cannulas makes them an option that more and more practitioners are choosing, and here at Medipro Aesthetic the cannula is our delivery method of choice. They offer greater flexibility and control with minimal side effects to the surrounding soft tissues. Hypodermic needles are rigid and sharp at the tip, whereas cannulas are the more flexible, safer option, meaning they can move more freely and easily when delivering your filler without causing damage to the surrounding tissue. 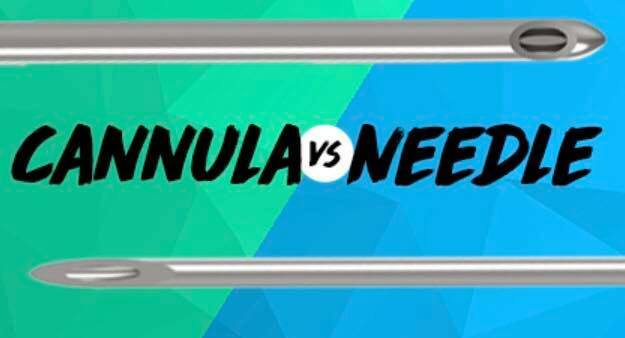 Needles require multiple entry points to deposit the filler in a bolus or linear fashion across a given area. 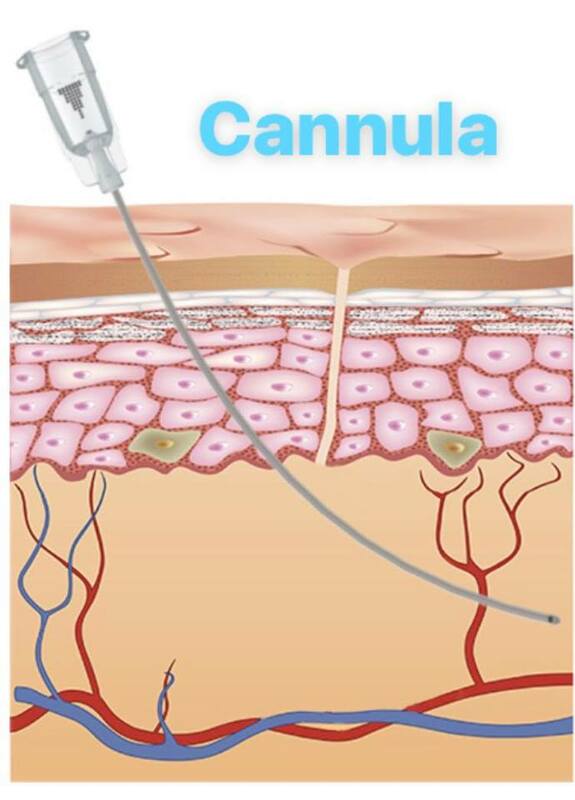 Cannulas can be used through fewer entry points to deposit filler with precision giving predictable results, making treatment quicker and less painful. Without repeated needle entry this causes significantly less swelling and bruising. For treatments in more sensitive areas, such as the tear trough, using blunt tipped micro-cannulas is the ONLY sensible option. There is one exception to this: namely when filling lips, the impossible task of sculpting and defining beautiful lips with a cannula! This is where the hypodermic needle reigns supreme. 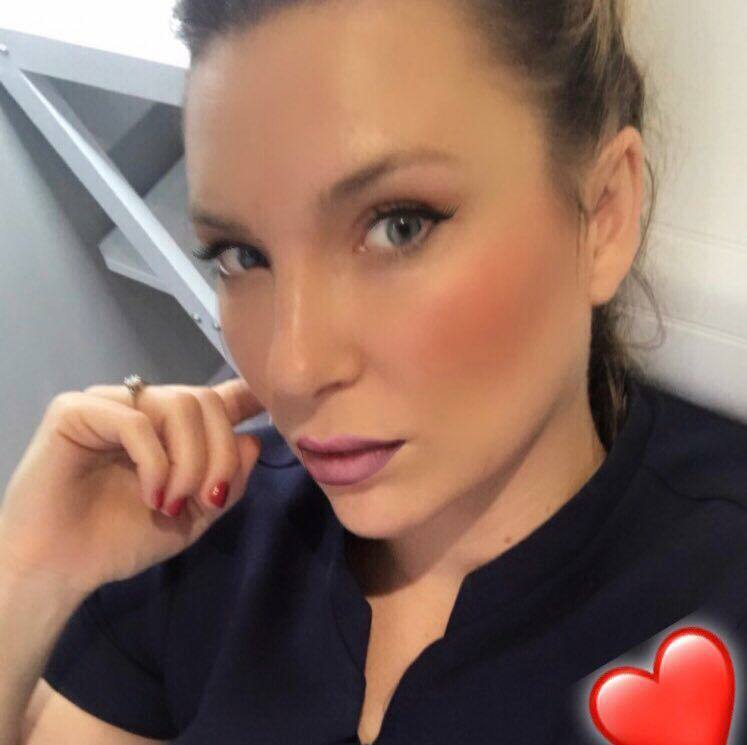 With the precision and expertise you’ll come to expect from Medipro, we can create very beautiful, natural looking, full volume lips, where bruising and swelling is common but temporary. Hi I’m Emmalee, a qualified and insured aesthetic practitioner based in Ashton-under-Lyne. What ever your skin concerns or goals, the first step to looking and feeling more beautiful is to schedule a consultation at Medipro Aesthetics , where we offer a wide range of specialist treatments for those looking for natural looking, non surgical beauty. During a personalized consultation, we will evaluate your skin, discuss your goals, and go over your medical history with consent taken. Post treatment advice is given prior to treatment taking place, and ample time is allowed for questions. Together, we will determine the best treatment options for your needs and make recommendations for professional skin care products you can use at home to improve your skin health and appearance. We’re dedicated to helping you look and feel more lovely, and look forward to meeting you very soon.